I have been shopping at some my favorite places this month and I wanted to share with you one of my fantastic finds. I found these chip clips at Dollar Tree. And was inspired to create this product Which Number is Greater? Alligator! If you are unable to find these clips at your local store, my product includes directions to create your own alligator clothespin. You will need to provide the clothespins, glue, and marker. This product helps students understand the concept of comparing numbers, specifically which number is the larger one. You can find Which Number is Greater? Alligator! in my TpT store. I nominated you for a Liebster award. : ) You can check out my blog if you want to accept it. Best of luck with your blog! New FB Page and a Fan Freebie! 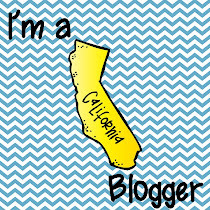 Goin' on a Blog Hunt!